We all know the sad story of Anne Boleyn. Lots of books have been written and films made about this unfortunate Queen and her tragic fall and execution. But we too often forget that Anne wasn’t the only victim in the coup that took her down. Five men, including her own brother, were found guilty of having committed adultery and treason with her and sentenced to death. But who were these men? And why were they accused of such heinous crimes? In the upcoming weeks, I will try to answer these questions. Let’s start with Sir Henry Norris. Sir Henry Norris was the second son of Sir Edward Norris and his wife Frideswide, daughter of Francis, Viscount Lovell. We don’t know the exact date of his birth, but he was thought to be several years younger than Henry VIII (born in 1491) and thus born in the late 1490s. By 1526 (again, we ignore the exact date), he was married to Mary Fiennes, daughter of Lord Acre. They had three children: Mary, Henry and Edward. Only Mary and Henry survived childhood. The marriage was short-lived as Mary died before 1530. Norris was an attractive, trustworthy, discreet man and liked sports. He actively took part in court festivals and pageants and was very good at jousting. He started his royal career at a young age. In 1515 he received his first royal grant and two years later he was already serving in the King’s Privy Chamber. In 1520, he attended the Field of the Cloth of Gold. In 1526, he became Groom of The Stool. His job required him to be present when the King performed his basic natural functions, which is just a “posh” way of saying he had to wipe Henry VIII’s bottom really. However disgusting and humiliating this job seems to us today, it was actually a very important position. There were only 12 Gentlemen of the Privy Chamber and these posts were sought after because these man were very close to the king, having the right of entry to his private chambers, attending on him and just providing companionship. As a results, these men could advice and influence the king and also controlled access to His Majesty. The Groom of the Stool was the Chief Gentleman of Henry’s Privy Chamber and by attending the king in the toilet, Norris became closer and more intimate with him than most. Not only that, but anyone who wanted to present a petition to the king had to lay it before Norris instead than Cromwell. Cromwell mustn’t have been too happy about that! The King trusted Norris and gave him numerous other posts: Chamberlain of North Wales, Keeper of The King’s Privy Purse, Master of the Hart Hounds and of the Hawks, Black Rod in the Parliament House, “graver” of the Tower of London, collector of subsidy in the City of London, weigher of goods in the port of Southampton, High Steward of the University of Oxford, and keeper or steward of many castles, parks and manors. Because of this his income shot from £33.6s.8d (£11,650) to £400 (£139,700)! Norris was also a member of the Boleyn faction and it seems he was present when the king secretly married Anne Boleyn in 1533. He was also courting Margaret (Madge) Shelton, Anne’s cousin and, for a short period, the King’s mistress. This courtship had gone on for quite a long time, so on 30th April 1536, Anne asked Norris why he hadn’t gone through with the marriage yet. Norris replied that “he would tarry a time”. Anne thought Norris couldn’t commit to Madge because he was actually in love with her and said the words that would get her in trouble when reported to Cromwell: “You look for dead men’s shoes, for if aught should come to the King but good, you would look to have me.” Norris was shocked. 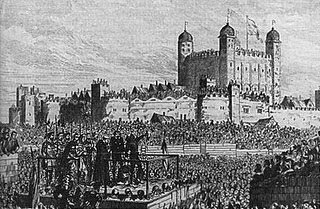 He knew that under the 1351 Statute of Treason even just imagining the death of the King constituted treason and could be punished by death. He hastily replied “if he should have any such thought, he would his head were off”. Upon realizing what she had said, the Queen asked Norris to go to her almoner John Skip to swear that she was a good woman but this backfired on her. Skip became suspicious and informed the Queen’s chamberlain Sir Edward Baynton, who went to Cromwell. Cromwell realized how easily the words could be twisted to accuse Anne and Norris of having an affair. Considering how close Norris was to the King, the betrayal would have been extremely shocking. On May Day, Norris took part in the jousts. When his horse became uncontrollable, Henry VIII gave him his. Did the king know at this point about the accusations against his Queen? We’ll never know, but towards the end of the jousts, he received a message (probably informing him that Mark Smeaton had confessed to adultery with the Queen) and just left. While the Queen (and everyone else) wondered at his behaviour, Norris rode back with the King to Westminster. Henry VIII interrogated him, promising him he would be forgiven if he would confess the truth. But he maintained his innocence. When they arrived at York Place, Norris was placed in the custody of Sir William FizWiliam. He and other members of the Privy Council questioned him. On 2nd May, Norris was taken to the Tower. On 12th May, Norris, together with Weston, Brereton and Smeaton, as commoners, were tried by a special sessions of oyer and terminer. Norris must have made some kind of confession before the trial had begun because he defended himself by saying that he had been deceived into confessing (we don’t know exactly what he confessed to) and retracted it. In addition, the dates and places cited in the indictments as the occasions where the Queen was supposed to have cheated on the King with Norris were made up as there is evidence that either she or her supposed lover were in different places at those times. But nothing of this mattered. The verdict was a foregone conclusion and Norris and the other poor men were found guilty and sentenced to death. He was beheaded on 17th May.